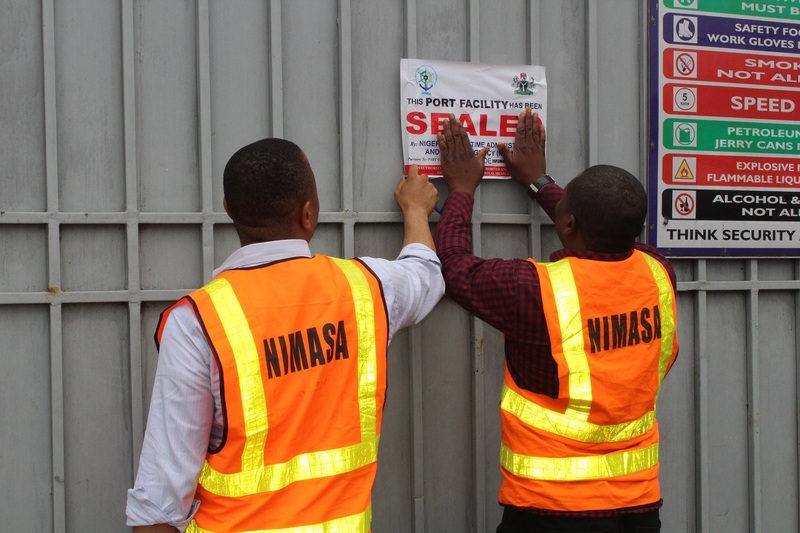 The Nigerian Maritime Administration and Safety Agency (NIMASA) has taken stern measures against some facilities over failure to comply with the provisions of the International Ships and Ports Facility Security (ISPS) code. NIMASA named the erring facilities to include: Heyden Petroleum Jetty, Index Petroleum Oil Jetty, Waziri Jetty operated by Hemsmor Nigeria Limited, NIPCO in Lagos, while the Pinnacle Oil and Gas Petroleum, Warri, Delta State was also affected by the action. Speaking during the exercise which lasted for about three hours, the Head of the ISPS Code Unit of the Agency, Captain Elei Green Igbogi, noted that the affected jetties were given adequate notice to correct the anomalies identified, but they did not, hence the Agency has no other option, but to seal the facilities until they implement the minimum ISPS Code standards. “The Dr. Dakuku Peterside led Management of NIMASA is committed to ensuring strict compliance to the provisions of the ISPS Code with the aim of achieving 100 per cent implementation so that vessels calling at our ports can be assured of safety. And to achieve this, every segment of the sector must embrace international best practices in its day to day activities. When all facilities are compliant it is for the good of all; as security is very crucial in realizing a robust maritime sector,” Capt. Green said. It would be recalled that the Agency was appointed as the Designated Authority (DA) for ISPS Code implementation in Nigeria in 2013 and has since raised the bar from barely 13 per cent to over 90 per cent in terms of implementation and compliance. Also, part VIII of the ISPS Code implementation regulations 2014 gives the Agency the powers to impose fines, withdraw maritime services and also to close down any erring facility that consistently violates the rules and regulations.